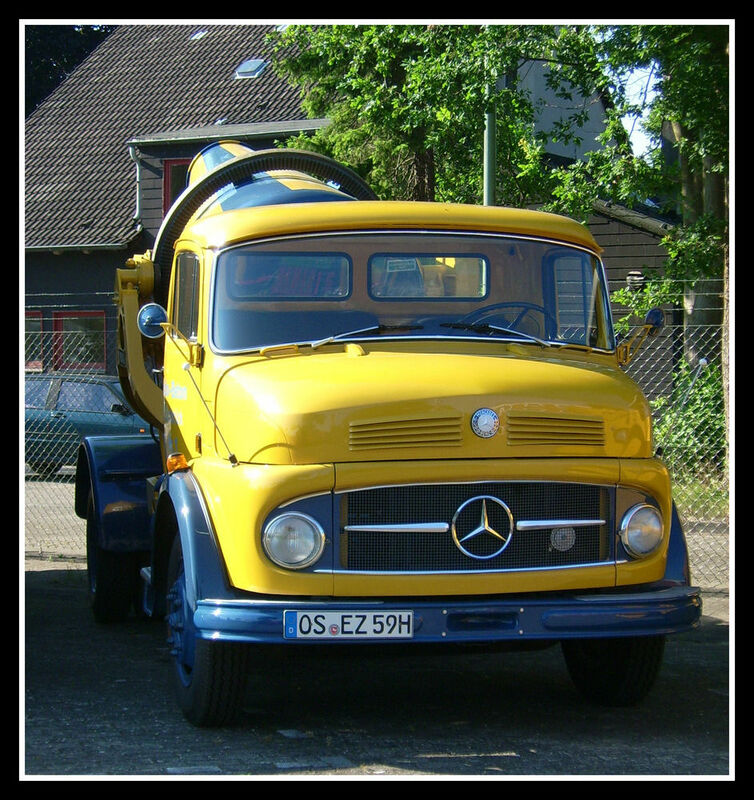 Back in 1963, then Daimler-Benz AG was establishing a new commercial vehicle plant in the German district of Wörth. 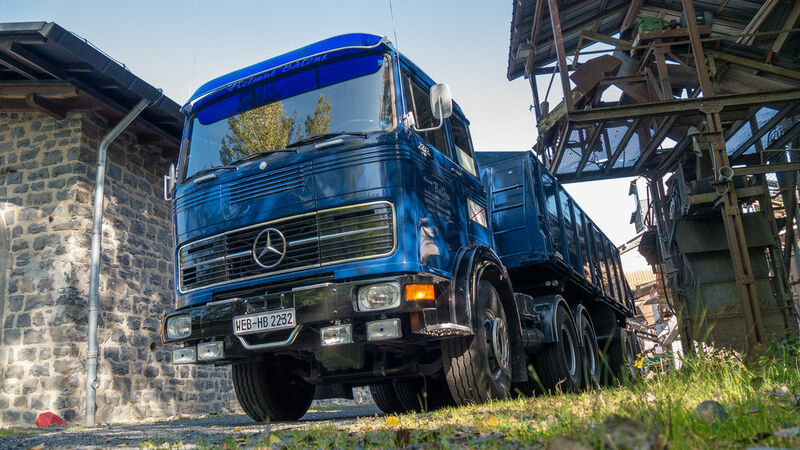 Fifty years later, the largest truck assembly plant on the planet being hosted in Wörth, where an army of more than 11,500 workers are building trucks sporting the (large) three-pointed star. 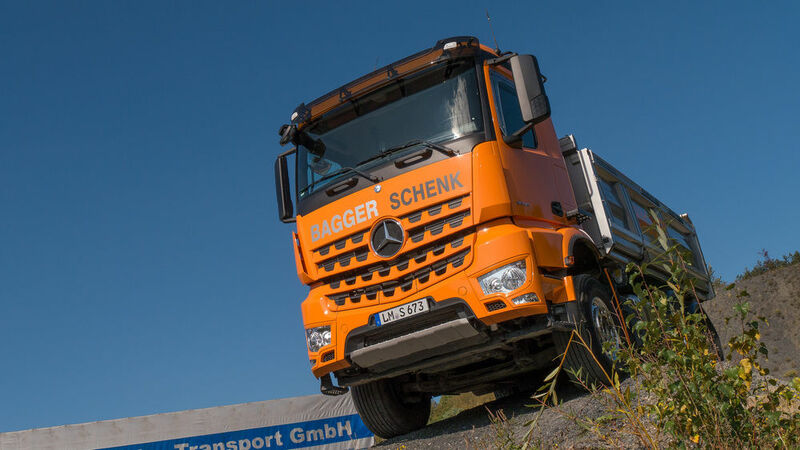 We are talking about models like the Actros, Arocs, Axor, Antos and Atego, but this is where the Mercedes-Benz Special Trucks division is also based, where the zombie-proof Zetros, the Econic and the legendary Unimog are also manufactured. All in all, more than 100,000 on and off-road giants are currently made in Wörth each year. Initially, when former Daimler-Benz AG had purchased an industrial site comprising of about 1.5 million square meters from the district of Wörth, neat Karlsruhe, the initial plan was merely to build an engine factory there and only about 100 workers were to be employed. Even so, around 22,000 cabs rolled off the production line during the first year of operation. Over the years, the site saw a gradual transformation from the original plans into what it is today, the largest plant of its kind in the world. Acquisition of the premises was hardly spectacular, meriting a few marginal lines in the Annual Report of 1960: “In the Wörth area near Karlsruhe industrial premises have been purchased that lie favourably close to the South German parent plants and on which construction of a production facility for major assemblies will begin in the near future.” And that was about the only mention at the time of Wörth, the plant that has long since become the largest truck plant in Europe today. What was being referred to here was a restructuring of truck production – at the time restricted to Mannheim and Gaggenau – in line with passenger car production (where responsibilities were shared between Sindelfingen and Untertürkheim), with central assembly taking place in Wörth, and Mannheim and Gaggenau taking care of supplying the major assemblies (engines from Mannheim, axles and transmissions from Gaggenau). 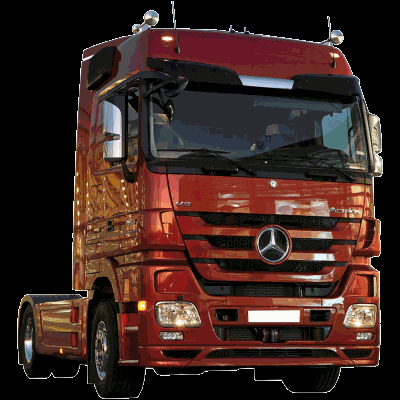 The aim here was to achieve cost benefits generated by highly rationalised large-scale production, which in turn would serve to boost overall truck sales considerable and ultimately secure for the company nothing less than the leading position worldwide for trucks of over six tonnes GVW. 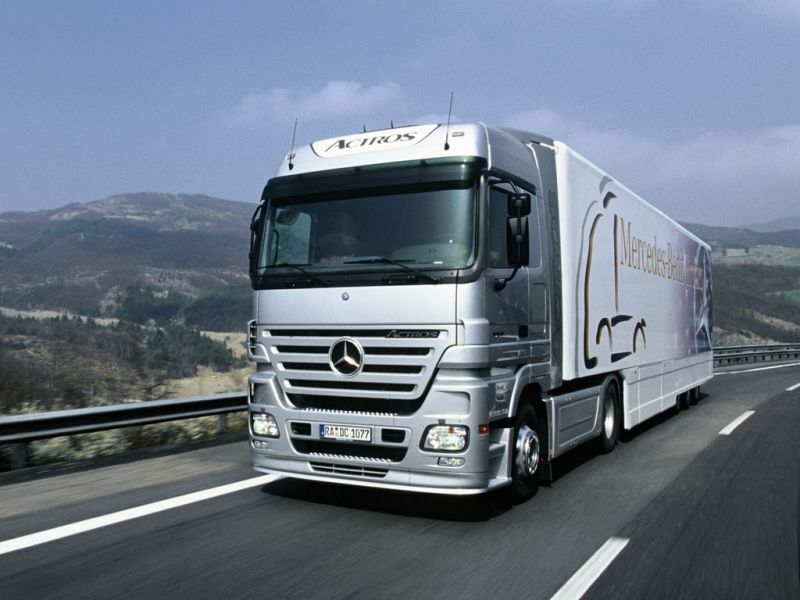 The Group’s strategy at this time was to concentrate on the luxury-class passenger cars and to establish a presence where trucks were concerned as a full-range and mass producer. This realignment of commercial vehicle strategy had become necessary as a result of the discontinuation of CKD (completely knocked down) deliveries to Brazil, India and Argentina; thus the only way to ensure utilisation of capacities in domestic plants was by developing new markets. But the key to success on the international market was Wörth. For Wörth meant large-scale production across the board and thus cost reductions that would benefit competitiveness on the global market. It was a double premiere that was staged at the new Wörth plant on the River Rhine on July 14, 1965. 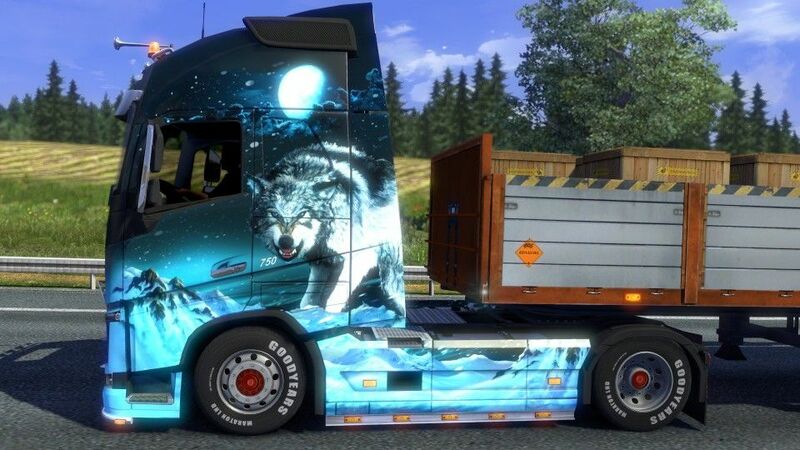 Not only did the first completely assembled truck come off the production line, decorated with flowers and attended by the plant management. 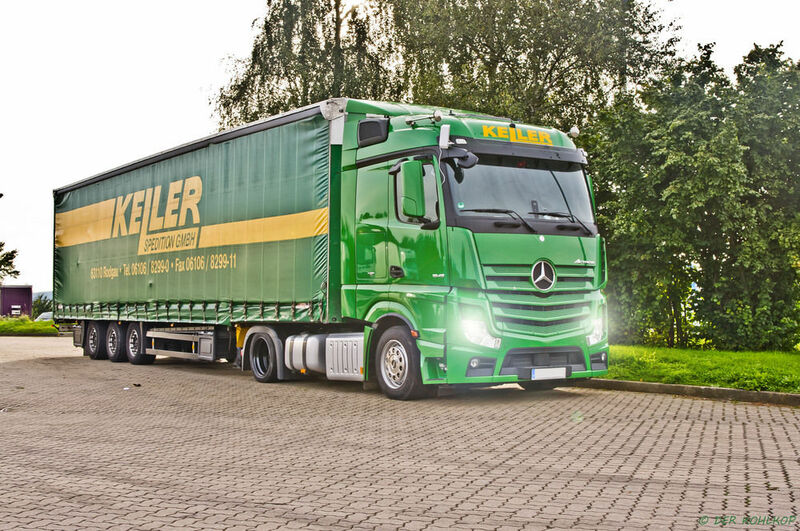 The launch of the Mercedes-Benz LP 608 also marked Daimler-Benz’s entry into the light-duty class, a big step on the company’s way to becoming a full-line producer. In both respects, things went extraordinarily smoothly. In its first two years in production, the LP 608 cab-over-engine truck reached an impressive market share of 45 percent with a total of 10,000 units produced. 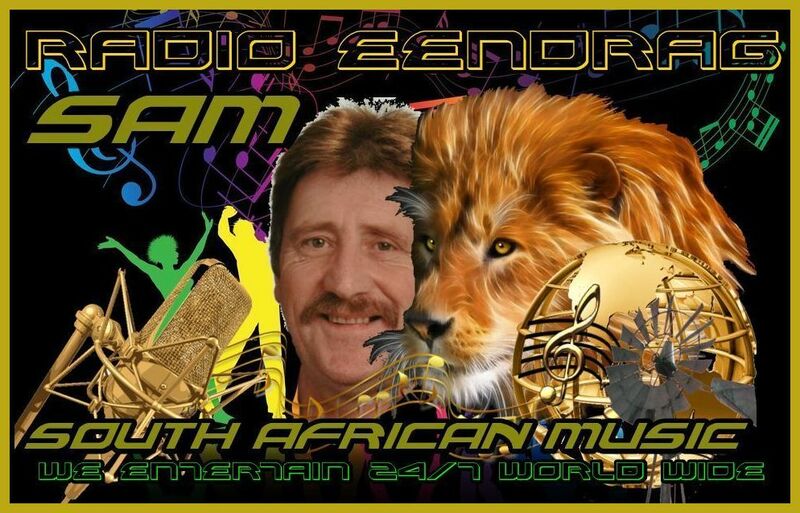 It was the originator of the LP truck class ranging up to the LP 1113, and this series was to remain in production for a good 20 years and record a total volume of some 200,000 units. The Wörth plant, in its turn, being the central European production facility for trucks, developed into Europe’s largest truck plant in next to no time and continues to occupy this rank today with production figures that speak for themselves: since July 1965, the Wörth plant has turned out about 3.3 million trucks. It all began on a much more modest scale and with a workforce of less than 100 employees. 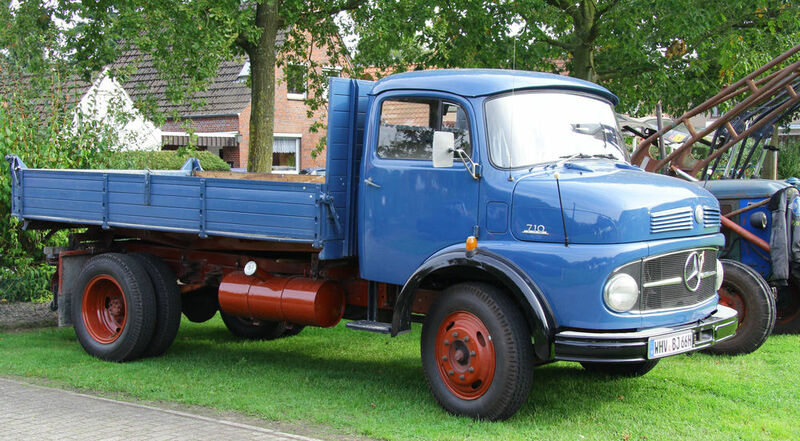 Wörth began producing truck cabs as early as October 1, 1963. 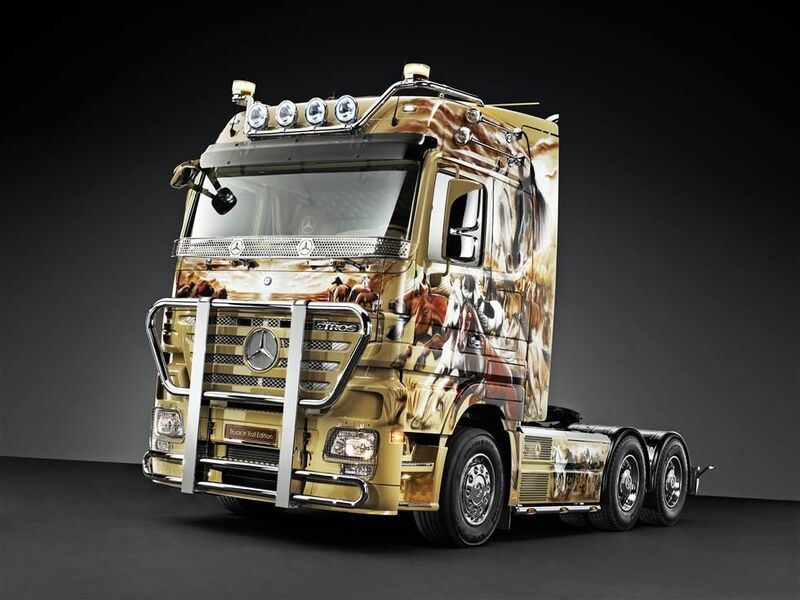 Initially, however, the plant merely supplied primed cab shells for completion at the traditional locations, Gaggenau (heavy-duty trucks) and Mannheim (medium-duty trucks). In the first year, the Wörth plant produced over 22,000 cab shells. From December 1964, in-house manufacture was stepped up in that the interior equipment was also installed and the cab shells were painted at the new plant, starting with the cabs of the 314 model. Even geographically, Wörth seemed predestined to adopt the role as central plant. The new location, occasionally also referred to as Wörth Island, was ideally situated between the plants in Gaggenau and Mannheim, which had reached the limits of their combined capacity – 40,000 trucks annually – during the period of the economic miracle in Germany. The new plant, located in a former loop of the River Rhine, was required to overcome bottlenecks. The ground-breaking ceremony on the 1.5 million square kilometre site was held in March 1962. It had been impossible to foresee the enormous development that would take its course on the premises acquired from the municipality of Wörth back in 1960. Initially, nothing more than an engine plant had been planned. 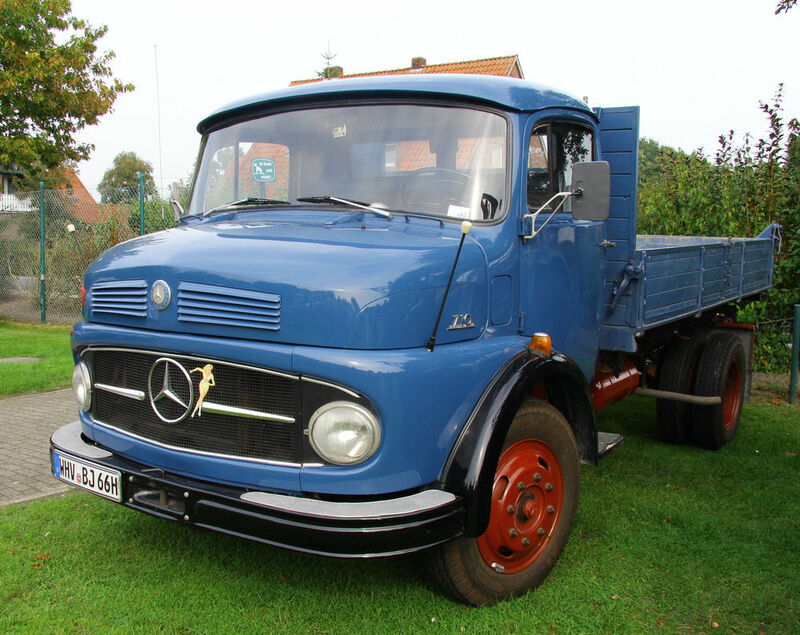 But then in 1963, Daimler-Benz restructured its production activities, concentrating engine and bus production in Mannheim, and Unimog, axle and transmission production in Gaggenau. 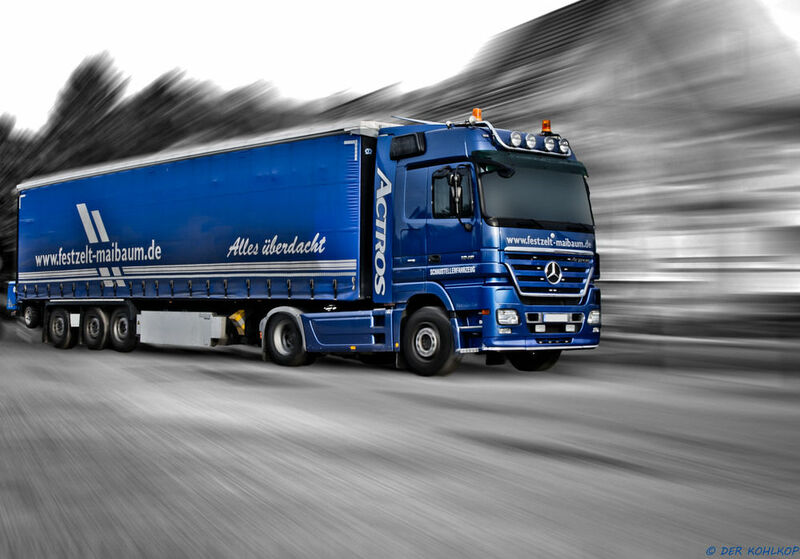 It was not until 1964, however, that the final decision was made to unite all truck production and final assembly activities in Wörth. Other facets of the division of labour within the company at the time were as follows: Mannheim would not only continue producing truck engines but also retain bus production; Düsseldorf was to concentrate on all van models up to four tonnes (later up to six tonnes); Berlin was to assemble complete passenger car, truck and industrial engines and supply vehicle parts; Sindelfingen manufactured passenger cars, and Untertürkheim produced a diversified range of engines; and Gaggenau supplied axles, transmissions and individual components. Initially the Wörth plant had been constructed for an annual capacity of 48,000 trucks. This volume was reached as early as 1969. Despite the first minor post-war recession in 1966/67, everything ran like clockwork: 800 trucks left the factory in 1965. Production of the LP 608 had been relocated completely from Mannheim to Wörth by the end of that year. Production of medium-duty trucks and CKD (completely knocked down) shipments to assembly plants all over the world began in 1966. What was once conceived as an engine plant was now itself the motor for the industrialisation of the commercial vehicle business. A glance at the export quota for the domestic plants reveals the extent to which exports were growing during the period: export figures for 1960 were 35.8 percent, rising to 41.7 percent in 1966 and 47.2 percent by 1969. With the addition of the administrative building, training workshop and staff restaurant, the plant was gradually completed, with the new assembly hall at its heart. At a length of 750 metres (today 1,000 metres) and a width of 50 metres, this was ranked as one of the largest automotive assembly halls worldwide. The fact that both series were produced on one and the same line was seen at the time as a drawback, but it would ultimately prove a blessing. 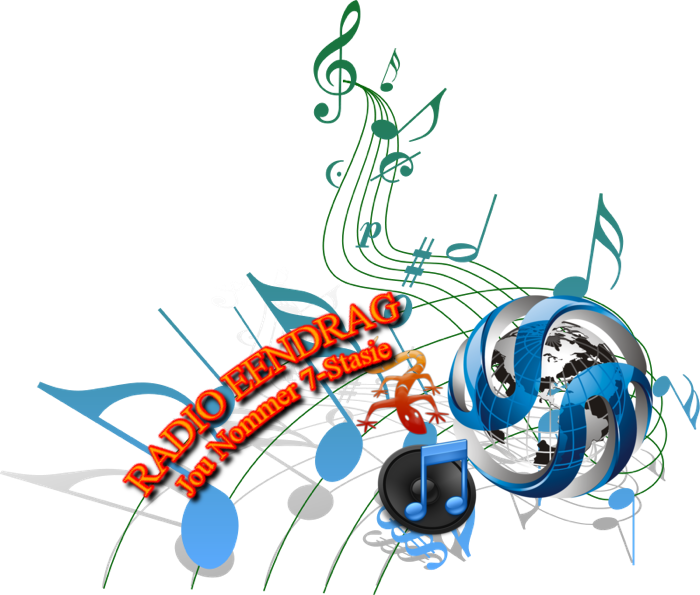 Production was extremely flexible from the very start. 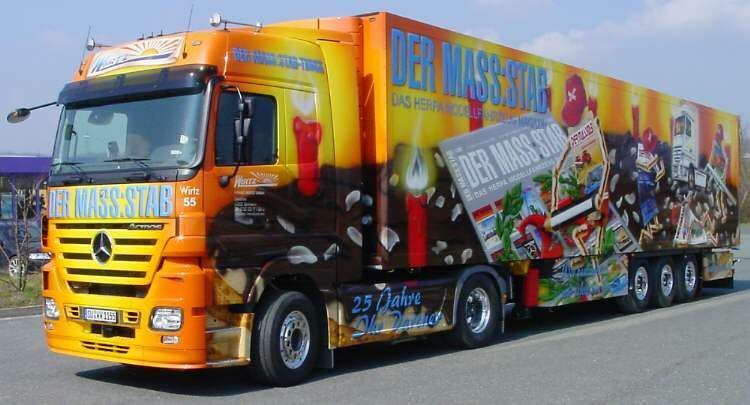 Although trucks were not given names at the time, commonly used designations such as “light-duty Wörther” or “heavy-duty Wörther” made clear reference to the vehicles’ origin. From 1969 onwards, Daimler-Benz raised the capacity of the plant step by step. The aim was to produce 100,000 units annually. The factory was extended twice until this target was reached – with exactly 105,200 units coming off the production line in 1975. Long before this point in time, Daimler-Benz had relocated the replacement parts warehousing facilities from Gaggenau and Mannheim and concentrated all relevant activities at the central parts warehouse in Wörth, which started operations in 1972. From 1973, Wörth produced the heavy-duty New Generation trucks which had been systematically designed according to the modular principle. 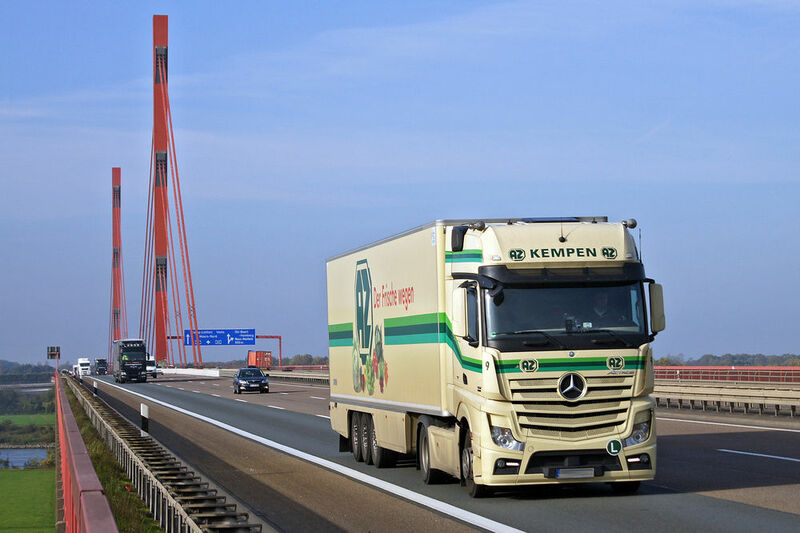 Ten years after production start-up, the 500,000th truck left the plant – by which time around 8,700 people were employed on the island in the River Rhine. All the while, the proportion of plastic components in motor vehicle manufacture had been rising continuously. It was therefore only logical for Wörth to launch activities in this sector as well. The job of moulder was added to the wide spectrum of professions represented at the plant when, in 1977, Wörth assumed responsibility for the production of plastic components for both passenger cars and trucks. The production of aerated-plastic parts for passenger cars also migrated from Sindelfingen to Wörth. In the 1980s the New Generation was replaced by the NG 80 and the oldest generation of vehicles from Wörth was discontinued. From 1984, the light-duty LP vehicles were replaced by the LK (Light Class) series with permissible gross weights between 6.5 and 13 tonnes and serving this segment with as many as ten basic models, from the 709 through to the 1320. Distinguishing visual features of the new series were slanting side windows – a design first introduced on the TN vans. Four years later, the NG 80 models in the heavy-duty class were replaced by the legendary SK series, now also with slanted side windows, which remained in production as the New Generation’s grandchildren until 1996. In was at this time, too, that the parts warehouses in Wörth and Sindelfingen gradually reached their limits of capacity. 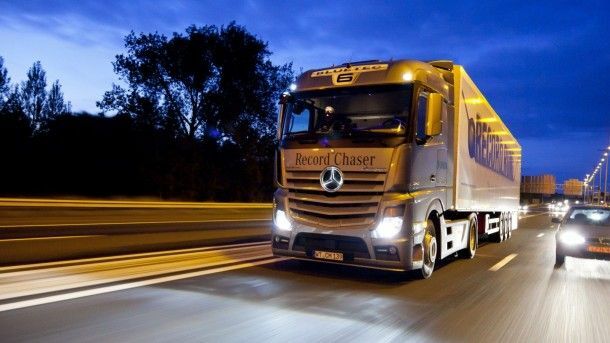 As a consequence, the entire replacement parts business was relocated to a new central parts warehouse in Germersheim near Wörth, which entered service in 1989. Production also changed fundamentally. Conventional automating concepts were no longer suitable for coping with the increasingly complex tasks (permanently growing number of variants and fluctuating unit figures). Under the slogan “Body-in-white production 2000″, a facility that permitted maximum integration was built in 1992 for the welding of all cab versions. The idea of a flexible body-in-white production facility had been born. 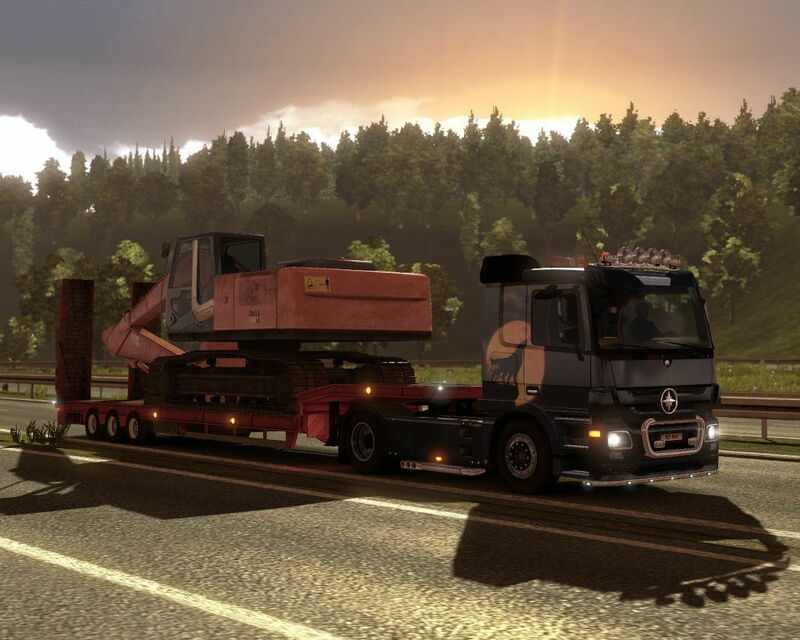 The procedures for fitting out the cabs also proved capable of improvement. Optimized production processes and material flows characterized the newly organized unit, which started operations – more effectively and more flexibly than ever before – in 1995. 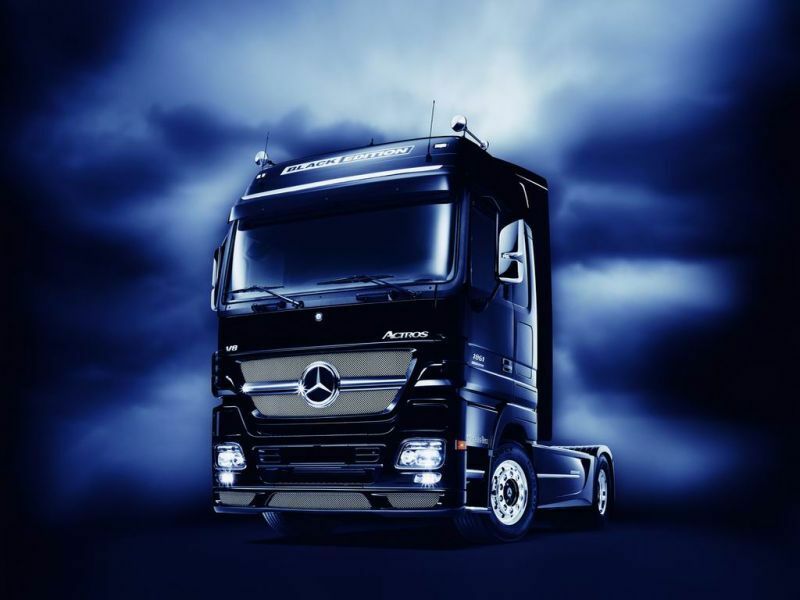 This created the best possible conditions for the start of the new Actros heavy-duty truck, which followed in the tracks of the SK in 1996. The change-over of production facilities to this heavy-duty truck, newly designed from the ground up, was completed in record time. But that was not all. In 1997, the LK and MK series were replaced by the new light-duty and medium-duty trucks from the Atego series. In 1998, the Atego line-up was complemented by the addition of the heavy-duty Atego – a combination of Actros chassis and Atego cab. 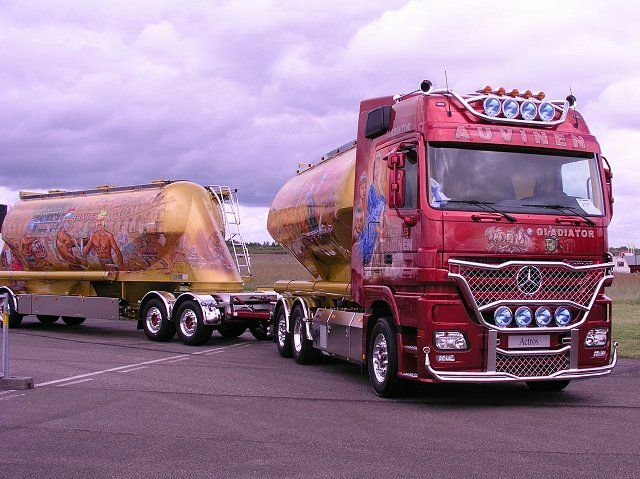 From 2002, the Wörth plant also produced the new heavy-duty Axor truck, designed for particularly high payloads in medium-duty long-distance transport as well as in heavy-duty short-radius distribution. 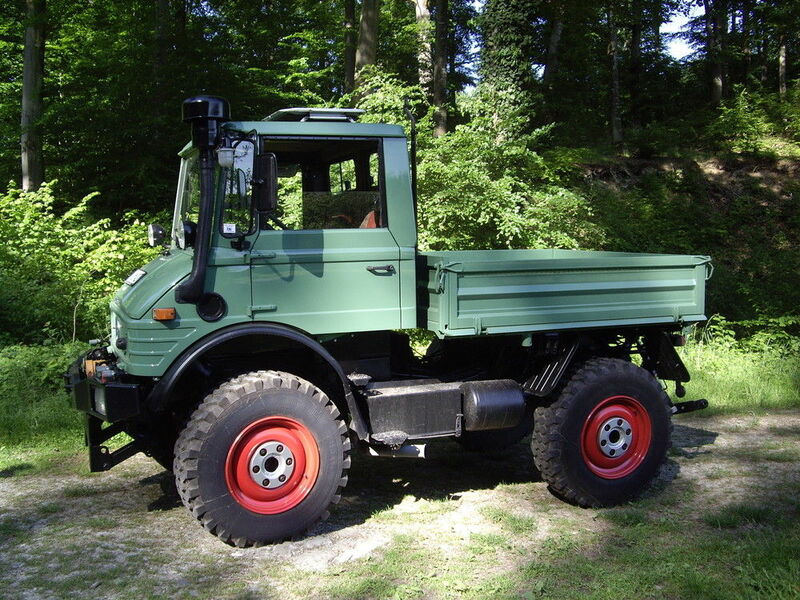 Also, in August 2002, Unimog production moved from Gaggenau to Wörth. 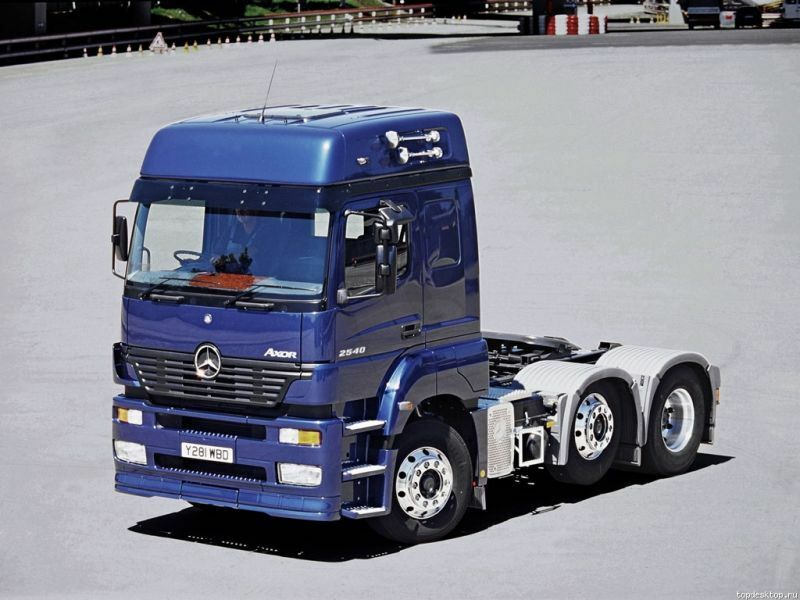 At the same time, the plant prepared itself for production start-up of the second-generation Actros (from January 2003); that same year, Wörth also assumed responsibility for the production of the Econic, the municipal specialist vehicle. 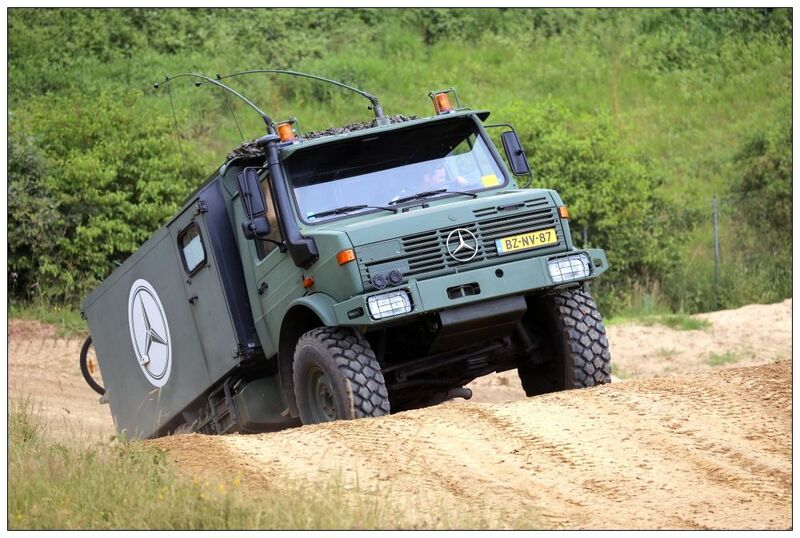 The third member of the family produced at Wörth was the off-road specialist Zetros, which Mercedes-Benz unveiled at the IAA in 2008. Today, at peak periods some 110,000 complete units come off the assembly lines of the Wörth plant annually, now enlarged to an area covering 2.4 square kilometres and employing over 11,000 people. In the record-breaking year of 2008, for example, the number of trucks built – in what is an extremely complex production process – totalled 113,000. 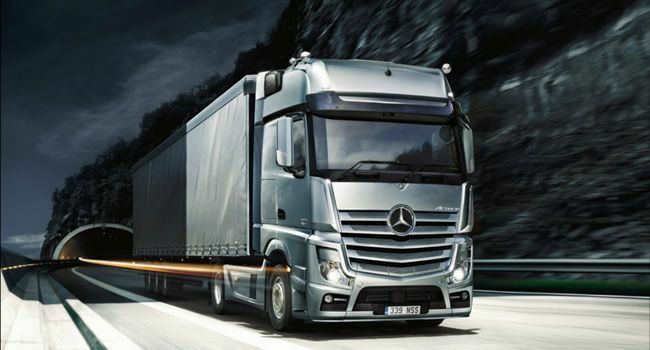 For the Actros, construction Actros, Axor and Atego models alone there are around 500 cab designs and more than 2,400 special variants. It helps, of course, to have key suppliers and their manufacturing facilities located directly on plant premises. The Wörth industrial estate covers an area of approximately 5,000 square metres and accommodates half a dozen companies which do their manufacturing on site (e.g. seats and bunks) before delivering directly to the production line. In total the plant works with approximately 1000 suppliers. Around half of all parts are supplied either “just in time” or “just in sequence”. Work on the production line has changed radically over the years. Today the various groups in the production process organise every aspect of their work themselves, including scheduling of holidays. Employees across all shifts manage their individual working times at the site, placing fundamental importance on transparency. Large displays keep each group involved in production constantly up to date regarding agreed objectives such as quality key performance indicators, audit results and the number of work days lost due to illness. Another symbol of optimised flexibility is the plant machinery – for example, the robots that are used in body-in-white cab production. Each production cell can build any cab from the extremely broad range in any sequence. The individual components are supplied by driverless transportation systems – making this process unique in automotive construction worldwide. Since 2007 the plant has no longer been known simply as “Werk Wörth” but as “Mercedes-Benz Wörth”. At the Group’s extraordinary general meeting the decision was taken to rename the plant as part of the renaming process from DaimlerChrysler AG to Daimler AG. 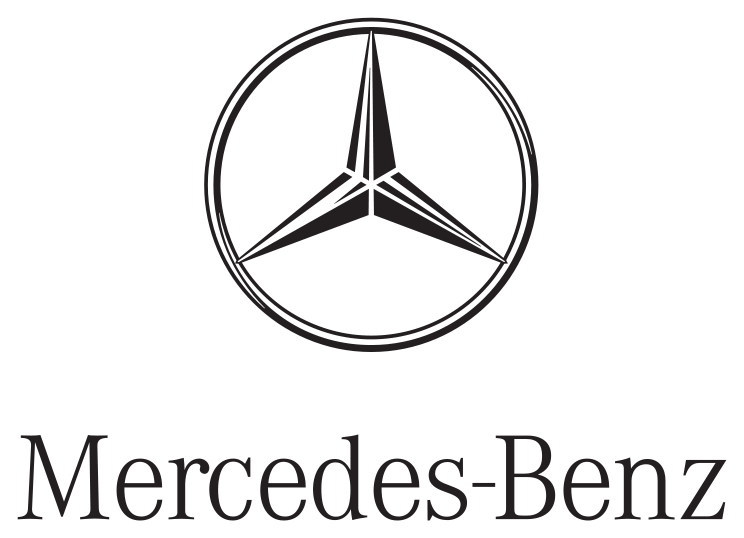 Henceforth all production locations turning out components or vehicles for the Mercedes-Benz brand now traded under the Mercedes-Benz name. 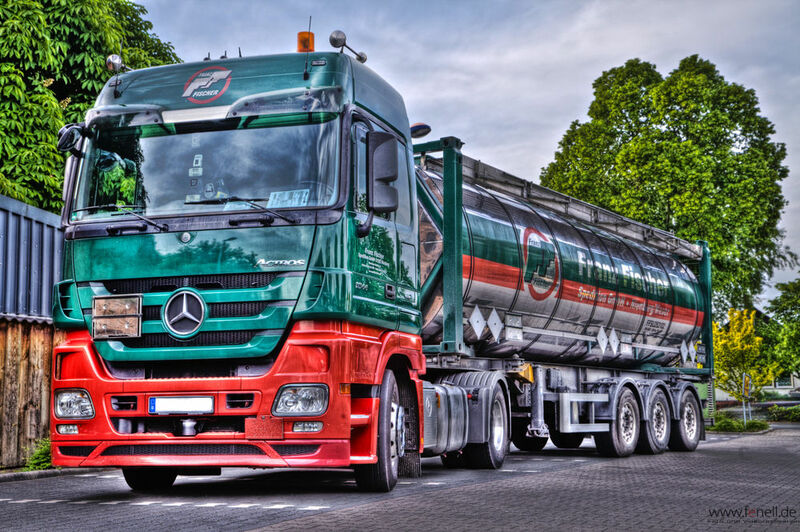 At the same time as the plants were renamed, the truck division at Daimler AG also changed its name: the Mercedes-Benz brands, Freightliner, Western Star, Thomas Built Buses and Mitsubishi Fuso were all subsumed under the Daimler Trucks (previously: Daimler Truck Group). 80 million euros in the new facilities, which comprised three elements: an indoor test area with numerous rough and potholed tracks and 14 different track profiles, a function testing area in the form of a test track, and thirdly a workshop area and office complex. In total the new EVZ employed a workforce of around 300 people. Although the work of the Development and Test Center takes place largely out of public view, this does little to diminish the fundamental openness and friendliness of the plant itself. Visitors still come in their thousands to take guided tours of the plant. 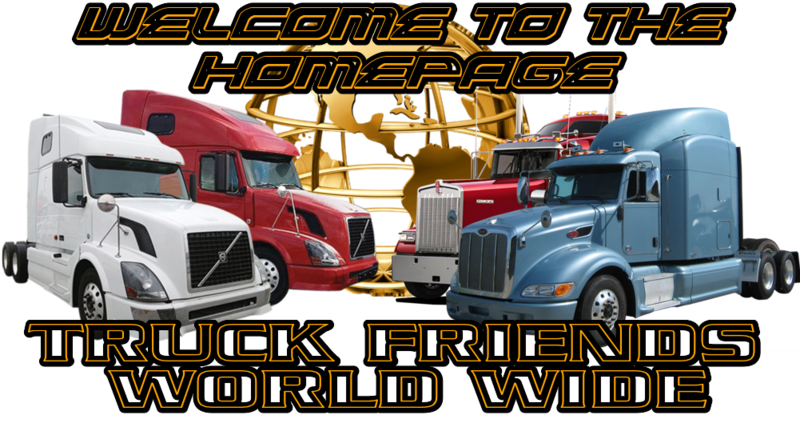 And an even larger number of visitors head for the Customer Center to collect their new truck. The former “self-collection hall” has long since developed into a state-of-the-art Customer Center, where customers can not only collect their new trucks but also receive instruction about its engineering. 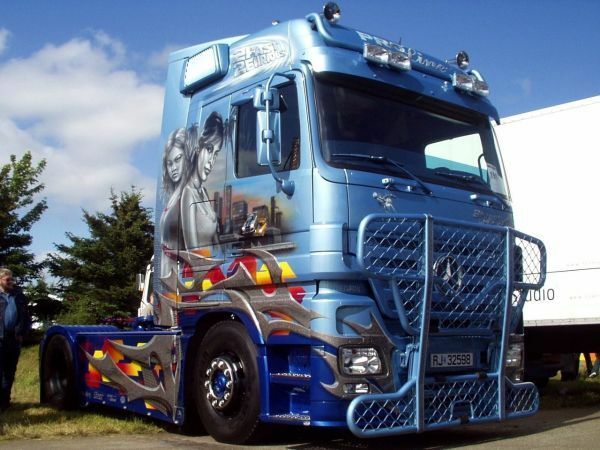 For some time now the Center has also offered drivers and visitors special truck seminars and driver training courses. 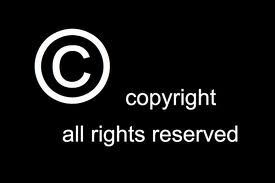 Although the themes focus mainly on safe and economical driving, training is also available on specific themes relating to the motor vehicle and transportation industries. 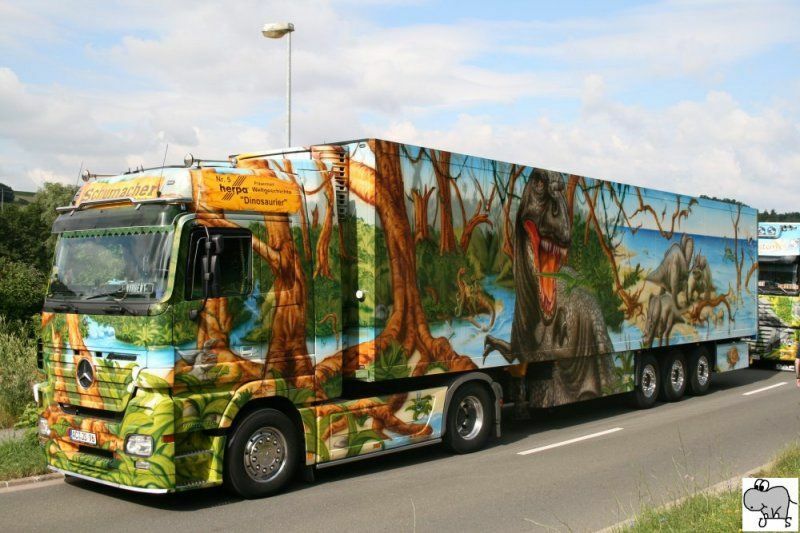 Since 2009 Wörth has also become a venue for further training courses, which truck drivers are now regularly required to attend in line with the law on professional driver training. Dedicated to various individual sectors of industry, the Application Information Center (BIC) opened its doors in 2000 – the only institution of its kind worldwide that not only provides customers with sound advice but also permits direct comparison of many complete packages for individual industrial sectors on site. 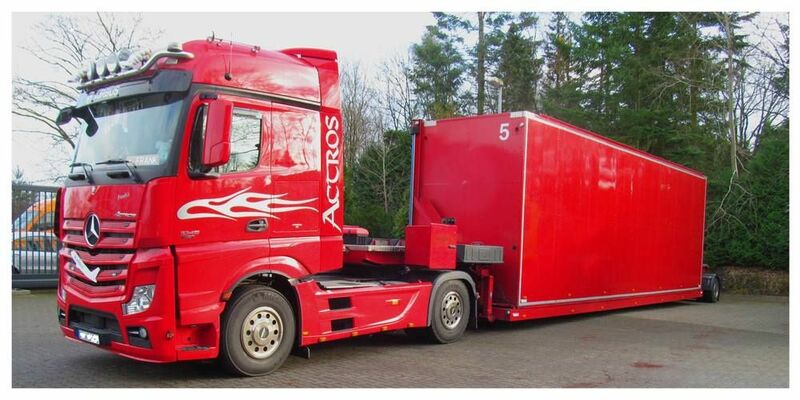 Numerous different Actros, Atego, Axor, Econic and Zetros models complete with superstructures and equipment are available here for comparison and testing.